When people think of the United States, they typically have the contiguous part of the country in mind. But there have been only three years of U.S. history when that familiar shape has corresponded to the actual borders of the country. 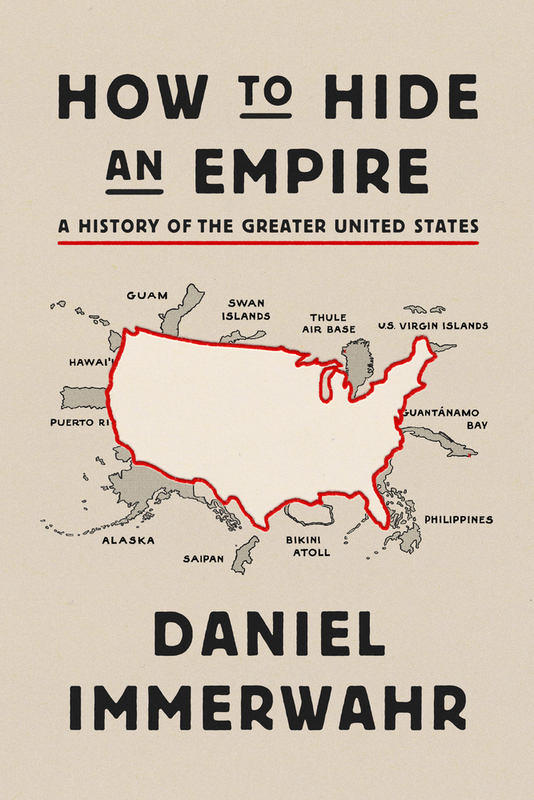 Immerwahr explores the history of the “Greater United States,” all the land over which the United States has claimed jurisdiction: colonies, uninhabited islands, occupied zones, and military bases. U.S. history comes out differently with this geography in view. Daniel Immerwahr (PhD Berkeley, 2011) is an associate professor at Northwestern University, specializing in U.S. and global history. His first book, Thinking Small (2015), won the Merle Curti Prize in Intellectual History and the Society for U.S. Intellectual History’s annual book prize. His recent book, How to Hide an Empire, was called “wry, readable, and often astonishing” by the New York Times and “consistently both startling and absorbing” by Harper’s.